It's easy to add Octane AI to your Shopify store! It just takes a few clicks. First you need add the Octane AI app to your store. You can either search for it from your Apps tab or use this direct link. Next, click "Add app." You will get redirected to an Octane AI sign up page. You will be asked for your name, email and password to sign up. 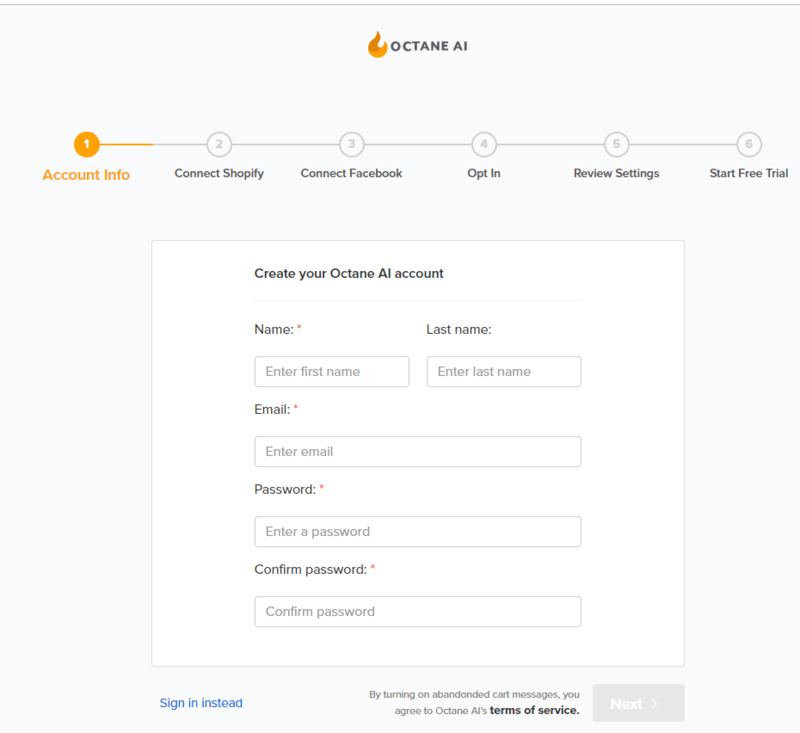 If you already have an Octane AI page, at the bottom of the sign up portal you can also sign in to your existing Octane AI account. Click Next to connect your Facebook page. Sign in to your Facebook account (If you are not already signed in) to get the list of pages you have connected to your account. 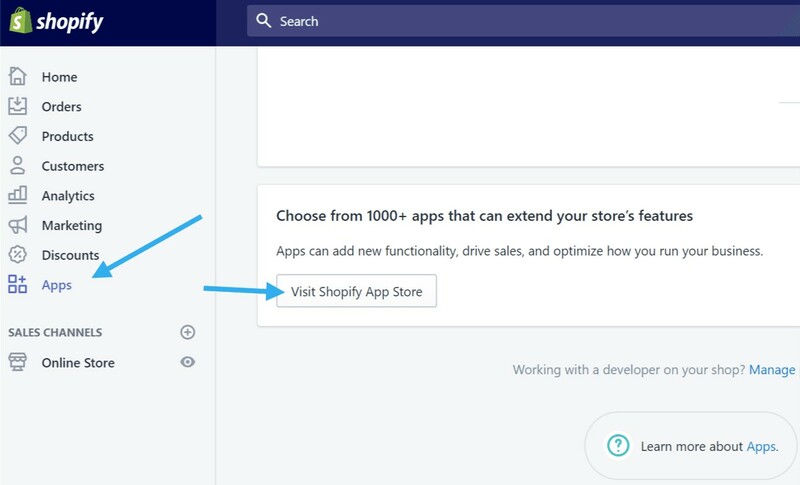 Select the Facebook page you want to connect to your store, then click next. 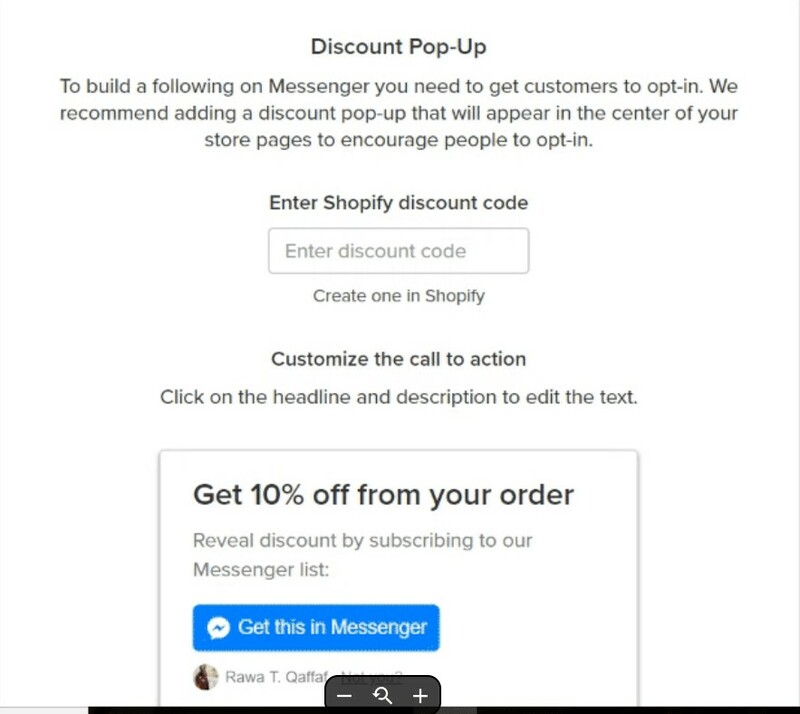 After connecting you facebook page, you will get redirected to the opt in where you will be prompted to enable order status page button and/or the discount pop up and enter your discount code. However, if you don't want to go through this during the set up, you can always skip it. 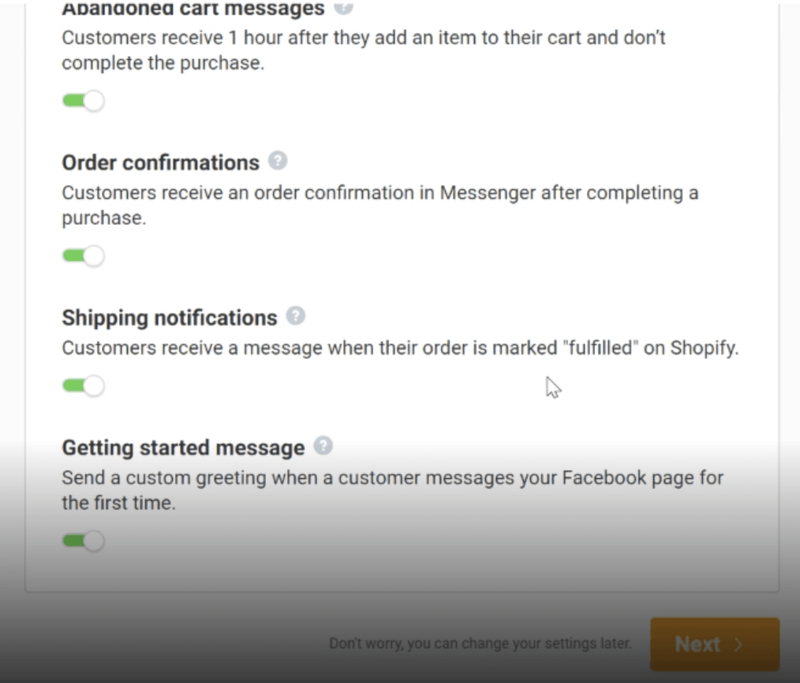 Next, you will get to review the settings, where you can enable or disable, abandoned cart messages, order confirmation, shipping message and get started message. 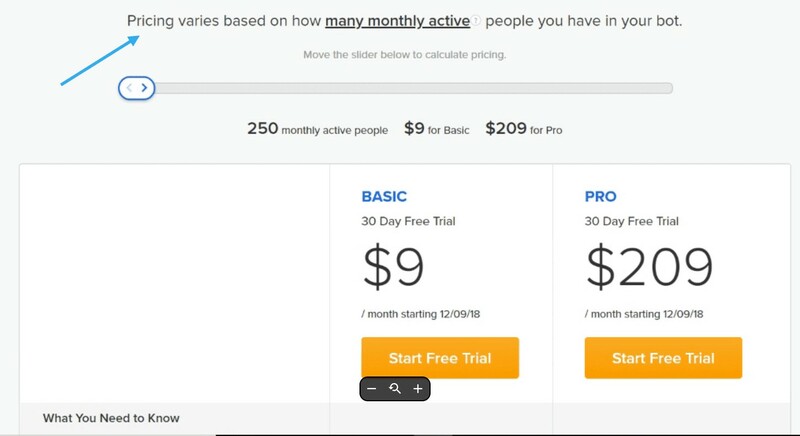 Simply approve your Shopify payment charge to start your free trial. how to set up your Octane AI bot.